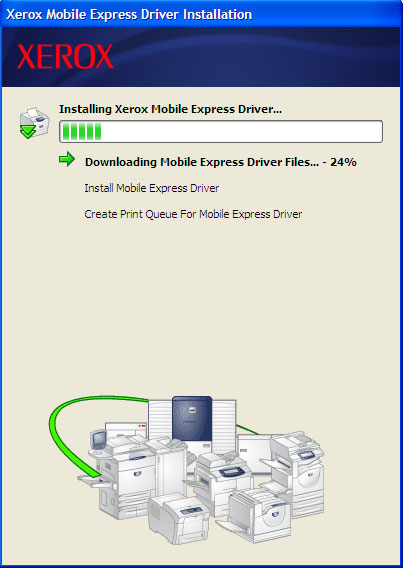 Xerox Mobile Express Driver is a free software for Windows that helps you print documents to any network printer while you are away from the desk. It supports both Xerox and non-Xerox printers. The first time you use the Mobile Express Driver at a location, it will automatically identify all the accessible printers that are on the same network as your computer. You can then pick a default printer that is best for your print job. You may find Xerox Mobile Express very useful if you need to print documents from different locations (like your home or a meeting room on another floor of your office building) or if you work in an organization that has a large number of printers with difference capabilities. 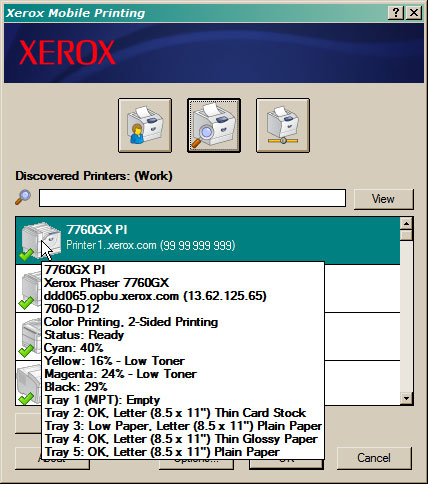 This is because Xerox Mobile Express software can easily help you determine which printers in your office support colors or two sided printing. You may also know the amount of ink left in their toners so that your print jobs don’t look faded. This will also make life easy for new hires and visitors in your office as they need not run after the IT support staff to setup up printers that are close to their cubicles. 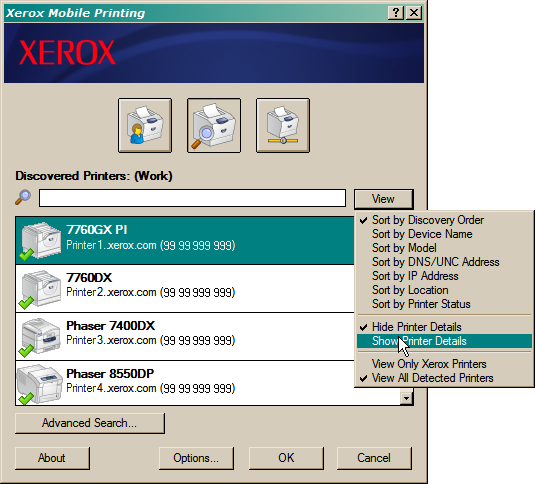 Xerox Mobile Express is available at www.xerox.com/mobile. HP offers something similar called Mobile Print Driver though it supports only HP printers.